We select key words personally based on the business subject matter and goals. We prepare the forecasts for cost per click. We offer to set up and run your Yandex.Direct and Google AdWords PPC campaign, and also help with billing. therefore he/she enters the search engine. that is useful for him/her. and is transferred to your website displaying the goods. Campaign management automation of advertising . These advantages allow the ads to be noticed by the users who visit thematic resources. The systems identify the website subject matter and form the ad list based on this data. The compulsory condition is that the ad text should correspond to the information that is published on the website. If you sell cars, users will see your ad on the dedicated pages. The cost per click (CPC) is determined by the auction on the basis of the keyword bid. The bid is the highest cost per click that satisfies the advertiser. The higher it is, the more more advantageous position ads take. CPC can change depending on many factors. They include the bids of direct and indirect competitors, usage of a special system for cost per click adjustment, etc. To carry out calculations, enter the number of clicks, CTR, and cost per click. Enter the CTR, budget and cost per click. 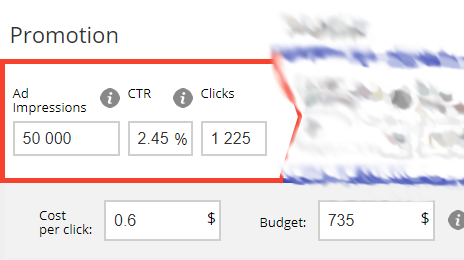 Enter the number of clicks, budget, and CTR. 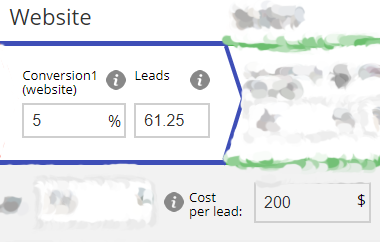 In order to determine the number of leads, enter the conversion rate. It is calculated automatically based on the data entered. 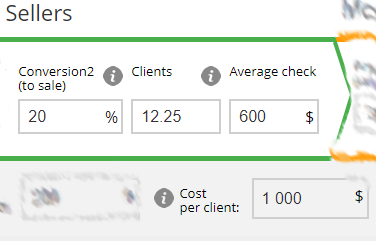 Fill in the Conversion for Sale (percentage) field. The cost will be calculated by the system and displayed automatically. You need to specify the profitability (as %). 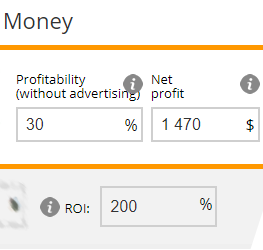 The ROI is calculated automatically. We analyze the advertising campaigns of your competitors and assess their activity by the number of leads. We make the semantic core of the website and provide the monthly budget. Our specialists set up PPC campaigns in Yandex.Direct and Adwords.Google in Minsk and regions. PPC campaigns are set up with reference to the marketing text on any topic using the key searches. We control the costs of the campaigns in Yandex.Direct and Adwords.Google and offer the optimization options for your advertising budget. We have nothing to hide. You can review online all the tasks of the specialists working on your project online and control how your campaigns are being run, i.e. costs for PPC campaigns, number of visits, etc.